After 10 years of marriage (tack on another 2 for dating), I’d like to think I’ve learned a thing or two about the institution, but that isn’t really the case. In retrospect, all I can say is that I’ve learned many things about living with my wonderful wife for nearly all of that time. 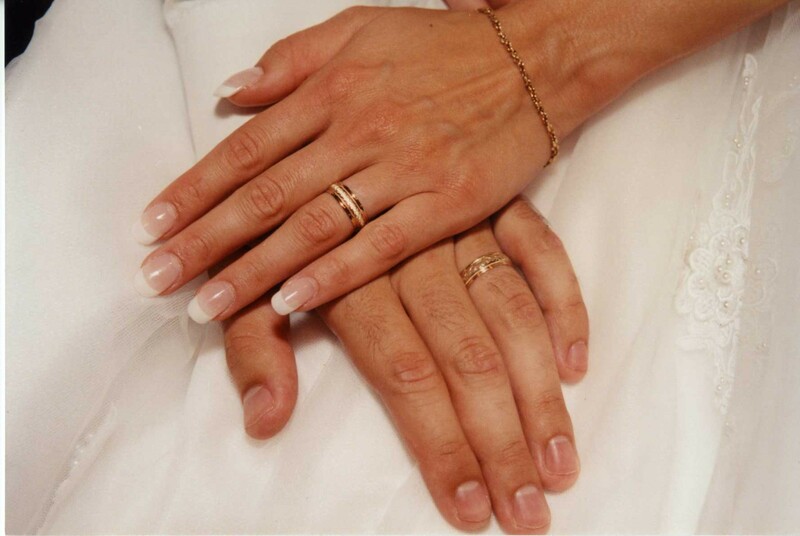 After all, marriages are like kids—no two are the same, so no prescriptive formula is going to cover them all. But, I suppose there are some general bits of “wisdom” that might be generally true for other marriages out there. Be honest with each other, even when it hurts. This doesn’t mean you need to detail every moment of your lives, but when it comes to anything significant, honesty is the best policy. Communicate. Brooding in petulant silence leads to resentment. Resentment leads to anger. Anger leads to suffering. That’s the path to the dark side. When crap comes your way, you can decide to let it break you down, or, as a couple, push through it. I think successful marriages push back against whatever comes at them. Renew your vows every year. We’ve done this in an informal way, but we always pick an interesting place to do so. We’ve done it in a church, historic places, and on beaches. It’s a good reminder and refresher of how and why you promised to be together. So there’s a little jovial insight into our daily interactions—we try and keep it real. But in all seriousness, my wife has made me a better man, is doing an amazing job as a mother, and is still as hot as ever. Bring on the next decade! p.s. It turns out my wife wrote a post on our anniversary as well. She even had similar thoughts about “lessons learned,” and no, we didn’t plan it that way! Check it out (and the rest of her insightful blog). I’m concerned (though not surprised) that this is probably a look into the raw stuff of human nature. (Notice I didn’t say “uncivilized” since the very act of lying is the mark of a “civilized” person, albeit for socially and artificially-constructed reasons). We’ve read about this phenomenon in books, but it still surprised us since she has had no contact with any ‘pretty little liars’ in a social setting. Nor do we set such an example. I guess we’ll just have to settle for learning to read her giveaways so when it comes to something important, we’ll recognize her attempt to circumvent the truth. There’s also a reason why we call her the “destructor.” The most recent case occurred this afternoon when I spent 10 minutes or so constructing an intricate structure with her building blocks. My daughter takes one look at it and immediately sets to razing it to the ground like she’s punishing Carthage after the Third Punic War. She knocks it over and dismantles each of the sections with a frightening intensity without a care for any of my stylistic innovations in Mega Block architecture. Then she gives me a knowing look as if to say “see dad? 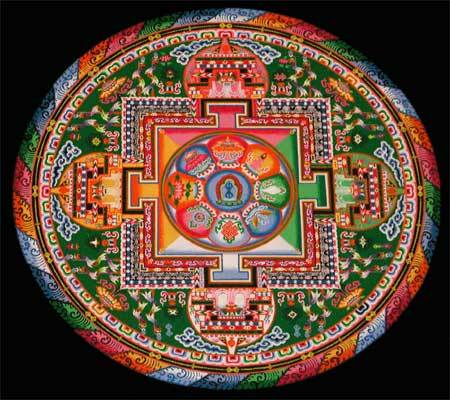 All things are temporary.” Kind of like those monks in Tibet who spend days or months making intricate sand mandalas only to wipe it away as soon as they finish. Of course I’m annoyed because 1) a Buddhist monk I am not, and 2) she broke my tower! Who is this little tyke to show me the properties of impermanence anyway? Then I look over and see her nigh-unrecognizable baby picture and realize she’s absolutely right. So I shut my mouth so I can soak in the latest lesson she has to teach her old man. The other night my daughter (let’s call her V), correctly identified the breaking of wind with the above word. While we found this uproariously funny at first, soon predictions of embarrassment set in as we contemplated her publicly announcing either of her parents’ social faux pas…or worse yet, a stranger’s! Thus begins the conditioning to arbitrary social conventions. “Don’t tell someone that they need better hygiene!” “If they ask if their pants make their rear look big, lie!” “And for goodness’ sake, don’t question other peoples’ opinions to their faces!” Well, you get the idea: be nice at the expense of the truth. I then realized that this could be the beginning of a slippery slope that can lead to the silencing of our citizenry. Too often, we don’t speak up, or at least not in an effective manner. I’m especially concerned about this regarding my daughter as I often see women being talked over in the class (or board) room. I know this generalization doesn’t apply to all women, but there are documented studies about females and assertiveness (this behavior is reinforced by a variety of external factors). I don’t want V to internalize a socially-constructed passivity that is often expected of women, especially at the behest of patriarchal values that still dominate our culture. (The exception to this is what I like to call the ‘golden estrogen ration.’ At a certain female to male ratio—and I’ve been there—enough women outnumber the men (usually about 3:1) to the point where they feel free/safe/empowered/inscrutable motive to verbally cut loose and incidentally instill the fear of Gaia into whatever male schlep happens to be standing nearby who is usually cowed into a state of shock and awe. This isn’t a misogynistic criticism, but merely an observable phenomenon that can—and should—occur even in the absence of such a ratio. I’ve listened to enough alpha (and beta, and zeta) males to know they’re full of crap and think other, more thoughtful input should be heard more often). Bringing this back to my daughter, I want V to scream the truth, to make sure people know what it is and why it’s important. I want her to face the truth about herself and in doing so become a better person than her father. I want her to smack liars in the face with the truth (metaphorically), preventing them from getting away with their schemes. I want her to do all this because as soon as we stop seeking and demanding the truth, we lose more than just our voice. (It also allows things like the Patriot Act and the invasion of Iraq to happen). So yell “farrrr” V, yell it despite how uncomfortable it might make some of us feel, because that’s when it is most important for the truth to be heard.